Do you have trouble hitting your target on a consistent basis? Does your tee shot tend to end up 20 yards left or right of where you wanted even though you struck it cleanly? You’re putting a solid stroke on the ball, but for some reason it gets away from you. If this is the case, it’s likely not an issue of contact. Instead, you might be following the wrong golf swing path, which dictates whether your club is heading in the correct direction for a straight follow through. 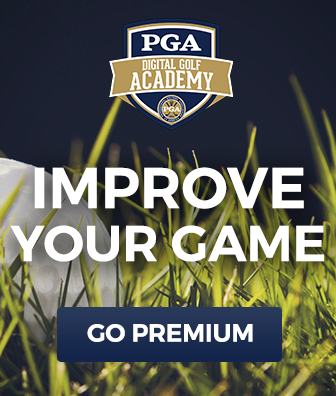 In this free lesson, PGA Professional Mike Adams explains what leads most amateur golfers to push their ball, and teaches you how to find your swing path for shots that are longer, straighter, and closer to your target. 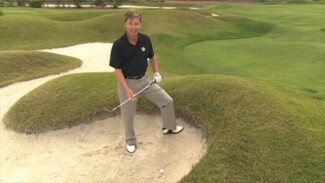 What dictates a proper golf swing path? To help you get your swing back on line, Mike asks PGA Professional Joseph Hallett to demonstrate what amateur golfers tend to do with their club shaft at the waist-high position. You’ll notice that the shaft is parallel to the toe line. What about that is incorrect? 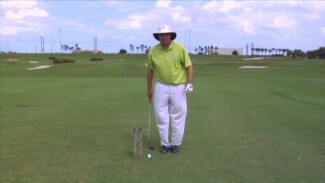 And why does improper shaft alignment cause skewed shots? 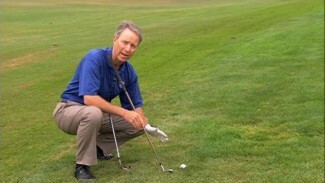 Mike talks about this, showing you where the shaft should line up instead, and then introduces some important golf swing tips that will allow you to discover your ideal golf swing path. When you find the right path, you’ll stop striking the ball from the outside in and start striking from the inside out. Oh boy, will that ball fly straight!